I saw this spectacular hibiscus flower in my front yard December 24. Of all the things in nature, I have always been drawn to plants. In my garden, I feel tranquil and content. I don’t know why exactly. Perhaps it is an instinct that has evolved over countless millenia. For, you see, it is the plants that provide us with the nourishment and the healing medicines that we need to survive. 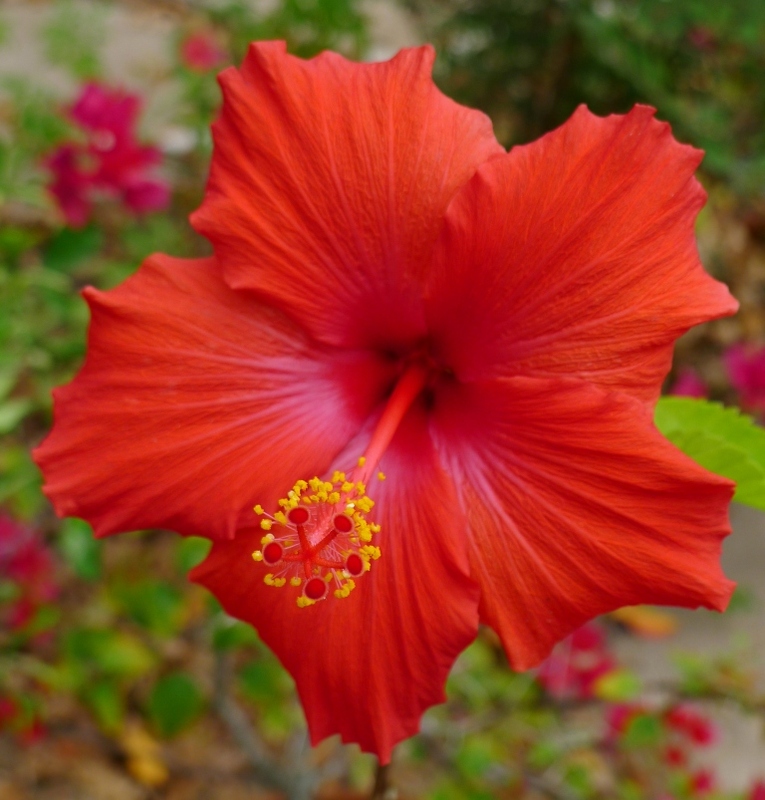 Because of extreme temperature shifts that we have experienced of late, my hibiscus was devoid of all leaves. Yet due to the 80 degree weather that we experienced just before Christmas, it produced this spectacular bloom, a tropical Christmas flower. Take a moment to look at it. Its symmetry, shape, and color: nothing short of perfection. It is nature’s miracle, a miracle that is easily overlooked in our rush to get through each day. In our busyness, we forget to pause, experience, breathe. I want to take this moment to give special thanks to all who have sent messages of sympathy, concern or advice about my sister, of whom I wrote two years ago. I have not spoken to her, but I have heard that she is safe. At the moment, she wishes no communication. It is a decision that all of us who love her have to accept.